#1. Ask any and all known issues. If you haven't already done this when you listed your property, now is the time to go through and make sure that every outlet and switch has a cover and works, light bulbs are all replaced, any little minor patches such as holes in the walls and doors are taken care of, leaky faucets and hoses are fixed, and all in all, the basic minor repairs are taking care of. #2. Remove clutter and make sure the inspector has a clear path to everything. 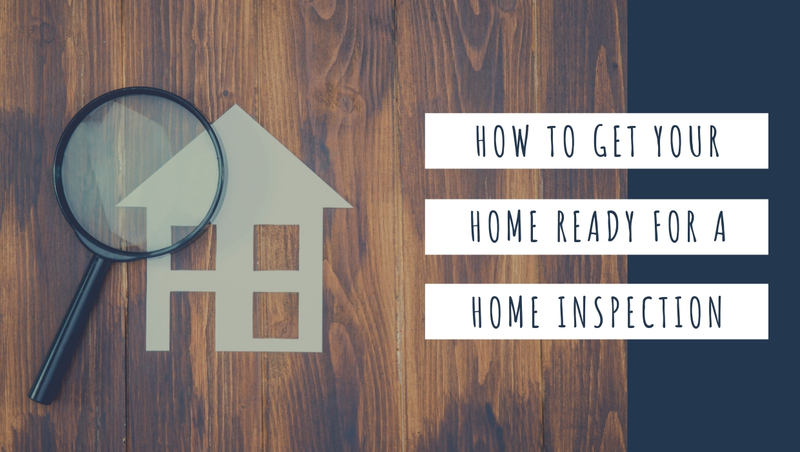 The home inspector will need to move around the home freely so make sure they can get to the attic, crawlspace, hot water heater and furnace, windows, doors, and all outlets. #3. Provide any documentation on repairs and maintenance. If you have done any major repairs or replacements have documentation ready to inform the inspector. Many inspectors will actually ask the homeowner if there's anything they need to know about that might not be instantly revealed on a home inspection. Be honest with the inspector and tell them everything you know. You might not always get to accompany the inspector, especially if the buyer is inspecting the home as well. In this case, leave a note about anything that the inspector may not see or notice. #4. Turn on the lights. If you know you're not going to be home when the home inspection happens, turn on all of the lights in the house and open all the doors. Your buyer will probably accompany the inspector through the house so you'll want to keep the house clean and clutter free. #6. Make sure all electricals and utilities are connected. The home inspector will need to turn on the stove, run the dishwasher, turn on the washer and dryer, and test the furnace and air conditioning so make sure you don't leave any utilities turned off even if the house is vacant. Also, make sure the water has been turned on. #7. Keep all pilot lights ignited. Most inspectors don't carry enough insurance to be covered in case there is an issue or liability of risk by restarting a pilot light. #8. Leave any keys or entrance items accessible such as for outbuildings, garages, and electrical boxes. #9. Take pets with you. Most inspections last between two and four hours and the buyer will usually accompany the home inspector so create your pets or take them with you and cover over any cages with a blanket. Preparing your home for a home inspection can seem a little bit daunting but remember, this is just one of the steps to get your house sold. Do Sellers Have to Fix Everything on a Home Inspection Report?